1. 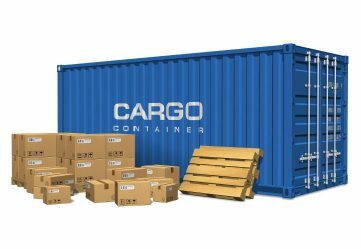 Are you relocating from the US or need to ship commercial cargo? We are shipping cargo from Los Angeles, Houston, New York or Miami to Germany, Poland, the Netherlands, the United Kingdom, the Middle East or Worldwide. Small items of household goods will be packed in boxes and then loaded on a pallet. Larger items like furniture can be bubble wrapped and loaded either on pallets or by itself into the container. Household goods and other cargo are charged by size in cubic meter so we need the exact size and dimensions to give you an accurate quote. We charge $150 per cubic meter. Please note, additional, one time fee of $50 for documentation applies. Please fill out the form to the left or call us at 1-310-635-3604 (office in California) to inquire about your shipping options. We will use the information provided to offer you a personalized quote. We are in business since 1994. Our Agents speak English, German, French, Russian and Polish and will help you throughout the shipping process and answer any questions you might have.